Would you pay $12 million for a stuffed shark? I realize it has been a long time between posts, but I am just beginning to get the hang of this whole blogging thing, so please bear with me as I learn the ropes of updating this blog and keeping all you art enthusiasts informed! So I thought a nice way to start easing into this whole process would be to start with a book review. 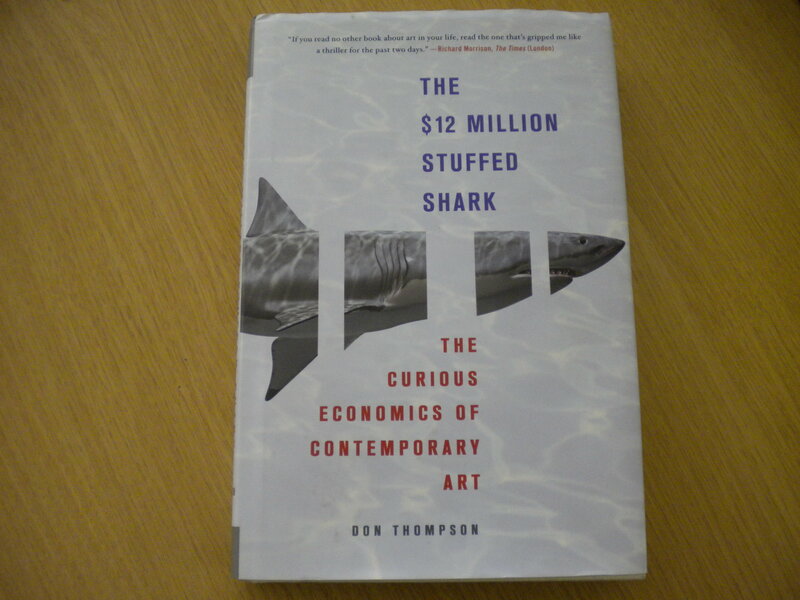 After several months of stopping and starting I finally finished The $12 Million Stuffed Shark: The Curious Economics of Contemporary Art by Don Thompson. I hasten to add that my halting progress through his book has nothing to do with the quality of Mr. Thompson’s work. In the postcript Mr. Thompson explains that he set out to write something akin to a Freakonomics for the Art Market, and I think he succeeded. Considering my vehement dislike of Contemporary Art I found his book thoroughly fascinating and very insightful. Thompson clearly went to great pains to methodically research and then outline every type of player in the Art Market and their separate agendas, from superstar collectors to auction houses to dealers to speculators. In fact, for those of you looking to collect (or rather invest) in Contemporary Art, Mr. Thompson provides clear and helpful guidelines and tips that you probably would not get from any art dealer or consultant. He also approached every facet of the Contemporary Art Market from the perspective of an economist, not a connoisseur. This means that the reader is spared any of the effusive and sycophantic language that I usually associate with writers on Contemporary Art. Nor does he limit his analysis to the Ultra-Contemporary Art, but provides case studies and analysis on the markets for both Impressionist and Modern Art. In short, I believe this book to be well written and researched, and a must for anyone with an interest, not only in the Contemporary Art Market, but in the actual practice of selling art. I only hope Mr. Thompson will favor us with a revised edition that will discuss how the Great Recession has impacted the Art Market since he wrote his book in 2008.